Families try to find one another as a number of fatalities is confirmed and firefighters try to rescue those who remain trapped. At least six people have been killed – and others remain trapped – in a large fire on a west London estate being battled by more than 200 firefighters and 40 fire engines. 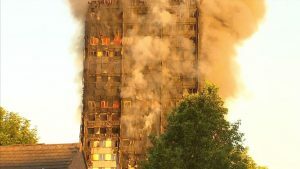 Hundreds of residents in the 24-storey Grenfell Tower have been evacuated from their flats in the burning building, and at least 70 people have been taken to five hospitals in the capital for treatment. Witnesses described hearing screams, watching people jump out of the high-rise block and a baby being dropped out of a window and caught on the street below. Others told of seeing people shouting and waving from the windows for help, and residents shining torches from within as the inferno erupted in the dead of night. Mahad, who escaped the fire-ravaged block, said the blaze began when his neighbour’s fridge exploded. 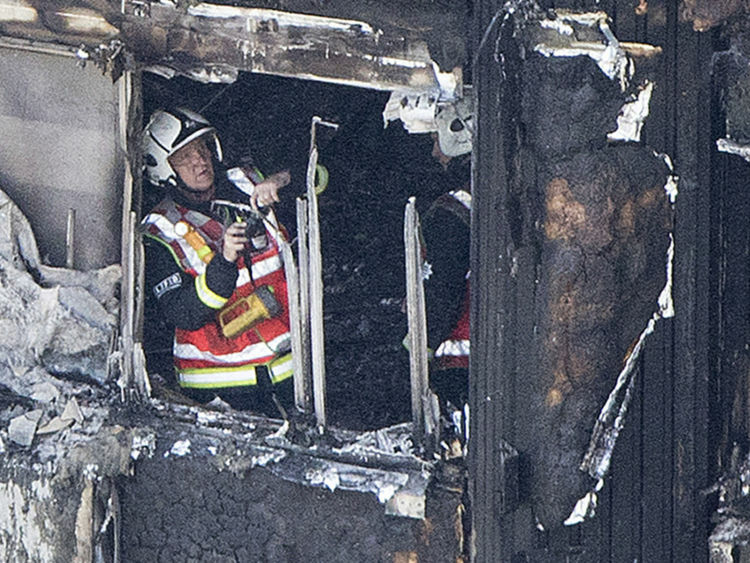 He told Sky News: “There was no alarm, there was no bell, there was no sense of urgency. A structural engineer assessed the tower’s stability but judged the building was not in danger of collapsing. Footage on social media showed the tower block engulfed in fire, with huge flames stretching over several floors. Mini explosions could be heard as the blaze shattered windows in the tower, while debris and ash fell to the ground. 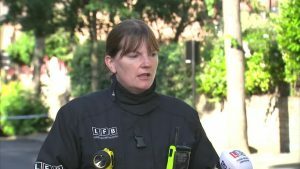 London Fire Commissioner Dany Cotton described it as an “unprecedented incident”, something she had not seen in her 29 years of service. The cause of the blaze is not yet known, but is being investigated, she added. 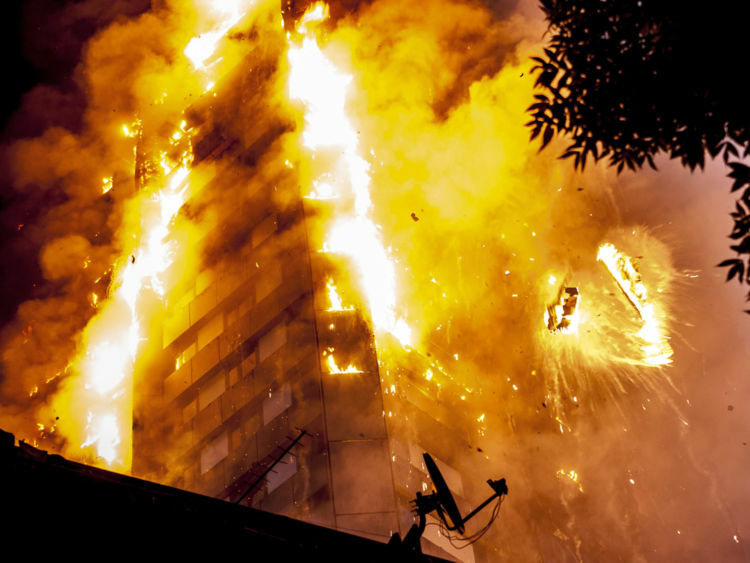 Firefighters have managed to reach the 20th floor as they continue searching for remaining survivors. Any residents unaccounted for who escaped are being urged to contact the emergency services to reassure concerned loves ones. Reporting from the scene in the immediate aftermath of the blaze, Sky News producer Dan Cairns said residents had been told that if they received calls for help from people inside, to tell them they needed to try and “self-evacuate”. He said they had been told “to put a cloth over their mouths and try to get out by themselves”. Actor and writer Tim Downie, who lives around 600 metres from the scene, said he feared the block could collapse. He said: “It’s horrendous. The whole building is engulfed in flames. It’s gone. It’s just a matter of time before this building collapses. It’s the most terrifying thing I’ve ever seen. Witness Samira Lamrani said she saw a woman try to save a baby by dropping it from a window “on the ninth or 10th floor”. 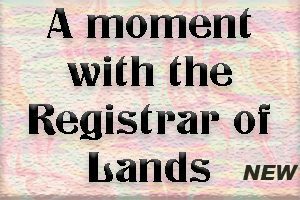 She said: “The windows were slightly ajar, a woman was gesturing that she was about to throw her baby and if somebody could catch her baby. 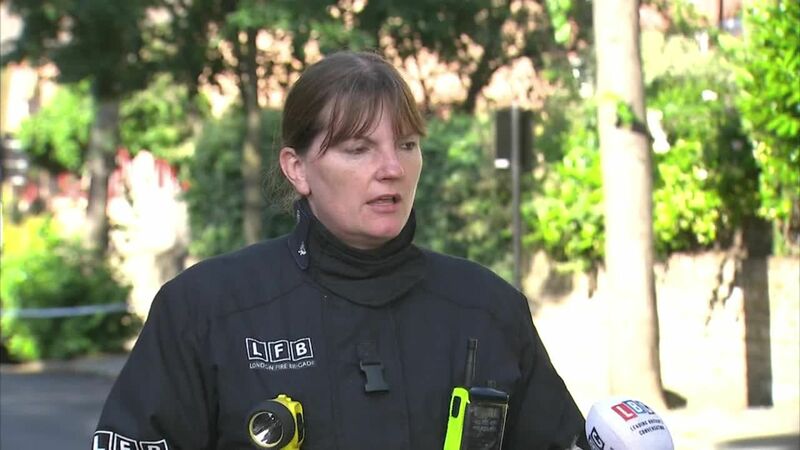 London Ambulance said it had sent a “number of resources” to the scene, including its Hazardous Area Response Team, after the fire was first reported at 12.54am. It also confirmed 20 people are currently in critical care. 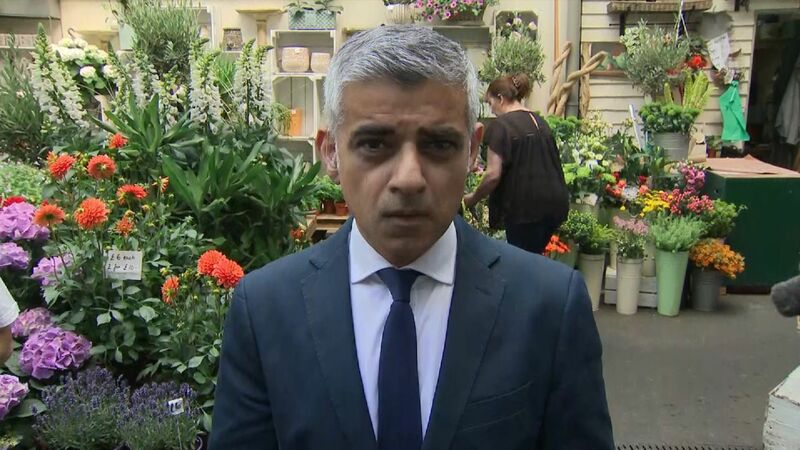 London Mayor Sadiq Khan, who is visiting the site, said “a lot of people” were unaccounted for and that of the 120 flats in Grenfell Tower, many had four-bedrooms. He added that questions needed to be answered in relation to the blaze. Prime Minister Theresa May said she was “deeply saddened” by the “tragic loss of life” and has called a cross-party meeting. Joanna O’Connor, a local resident, told Sky News: “At about 2am I was woken up by screaming, sirens and helicopters. We came outside and were confronted with the building that was completely engulfed in flames. 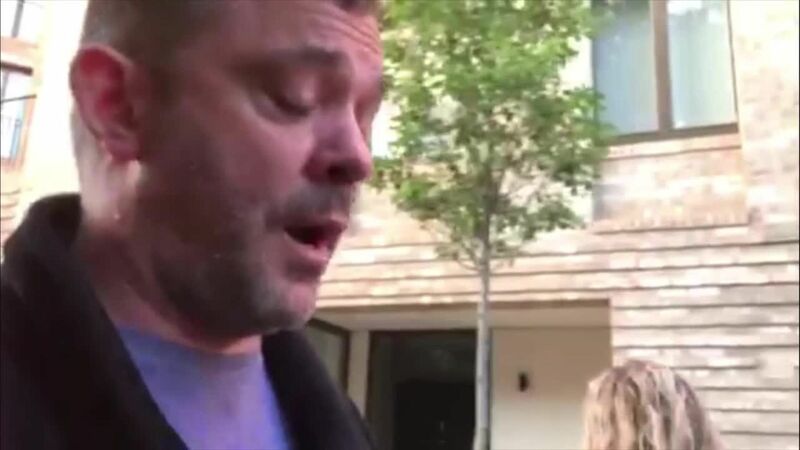 “It was a real shock and there were hundreds of people lining the streets, we could still hear screaming from the building and people were milling around in shock, crying. Celeste Thomas lives across the road from the tower and said residents and families were “trying to find each other” following the evacuation. The tower block – which was refurbished internally and externally last year – is situated on the Lancaster West Estate, between Latimer Road Underground station and Westfield’s White City shopping centre. He said emergency centres have been set up for evacuated residents, and that the council is “providing as much support as we can”. 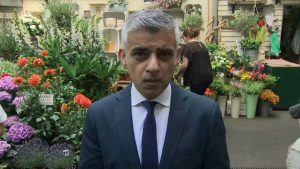 Grenfell Action Group said its warnings about safety fell on “deaf ears”. In its blog post dated from November 2016, the group warned “only a catastrophic event” would expose the issues residents had with the building – including its one entry and exit and concerns about evacuation procedures. Labour MP Jim Fitzpatrick, chairman of the all-party Parliamentary Fire Safety and Rescue Group, said the Government has resisted calls to install sprinkler systems in high-rise blocks in the wake of the 2009 Lakanal House tragedy. Mr Fitzpatrick, who was a firefighter for 20 years, added: “There’s obviously a huge number of questions going to have to be asked about what happened. The Archbishop of Canterbury has urged the public to donate clothes, food and toiletries at St Clements Church for families displaced by the fire. :: Anyone concerned for loved ones can call an emergency hotline on 0800 0961 233.